Club Med is running a 1/2 off every second person sale at selected locations. 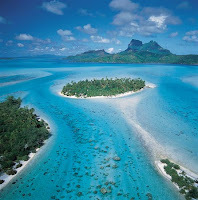 You can book the Club Med Bora Bora for $1,952 for two, for a weeks stay. The rooms are air conditioned and include a fridge and TV. 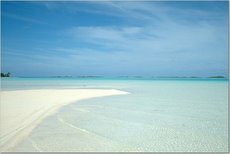 All meals, drinks (both alcoholic and non), required membership, optional travel insurance (you can opt out and save $100 per couple), sports activities including snorkeling (with boat trips), sailing(catamarans) and windsurfing is included. 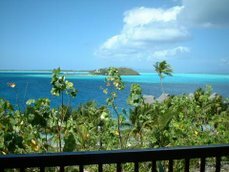 Transport to Tahiti, and then Bora Bora, and transfers to the resort is additional. What's great about Club Med is that they have a picnic spot on the motu opposite the main island of Bora Bora that is in the most breathtaking location I've ever seen. You'll have to book by April 14th. Travel dates are April 14th - December 21st 2007.